Maruti is among the nation's most well known car brands, and it has added another model to its line up. 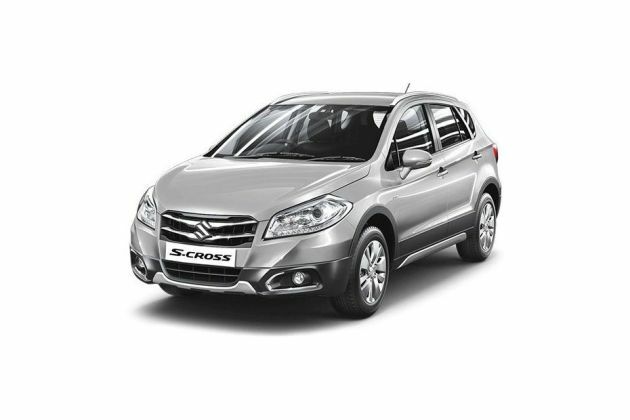 The S Cross has been launched after a much anticipated wait from the car base in India. The car maker is releasing the model with a range of variants, and one among them is the Maruti S Cross DDiS 320 Zeta. Starting off with the heavier side, it is powered by a 1.6-litre DDiS diesel engine that is tuned to produce superior performance. The company claims to have built it with various sound insulating materials, enabling a more peaceful drive for the occupants. With a fuel tank capacity of 48-litres, the car makes for good utility as well. Coming to the looks, this premium crossover comes with sporty themes in its outfit. It has a graceful shape that reflects strong aerodynamics. There are attractive elements like chrome highlights, roof rails, and stylish wheels that further improves its elegance. A strong wheelbase of 2600mm ensures good space for occupants within it. This variant has its own list of features including a good musical system that adds entertainment value to the cabin. Also there are variety of other comfort oriented facilities inside the cabin, which improve passenger satisfaction. At the front, it carries an attractive radiator grille with chrome garnish. There are stylish headlight clusters on either side of this. Fog lamps are also present at the bottom, along with a wide air intake section to provide cooling to the engine. The silver skid plate garnish at the bottom adds to its good looks. The large hood improves its muscular appearance. Coming to the side profile, the body colored mirrors and door handles integrate into the overall picture well. Turn lamps are present on the outside mirrors, adding to the safety of the drive. This variant gets stylish alloy wheels along with a center wheel cap. The wheel arch extension also makes for a good look. At the top, the silver colored roof rails add a distinctive appeal to the exteriors. Its sporty look is further highlighted by the B pillar blackout. The car's harmonious image comes with a more muscular rear section. The split rear combination lamps host all necessary lighting units for optimal road safety. The cabin is designed for apt comfort and space for all of the passengers. The seats are covered in fabric upholstery, giving a more plush feel for the occupants. For added elegance, there are door armrests wrapped with fabric, while the door handles and parking brake lever are tipped with chrome. Furthermore, the AC louvre surround also have a chrome finish. The passengers get the added convenience of a glovebox for storing objects. An attractively designed steering wheel is present, improving the driver's experience. Beside this, there is a TFT display screen that adds sophistication to the cabin. Powering this variant is a 1.6-litre DDiS diesel engine that displaces 1598cc. It has 4 cylinders incorporated through the DOHC configuration. The company claims to have built it with superior grade insulating materials for a more peaceful drive for the occupants. Also, it gives a power output of 118bhp at 3750rpm, along with a torque of 320Nm at 1750rpm. The engine is paired with a 6 speed manual transmission that enables hassle free shifting for efficient performance. The model has strong disc brakes at the front rear, enabling a good braking performance. Going into specifics, the front wheels are equipped with ventilated discs, while there are solid discs at the rear. Coming to the suspension arrangement, the front axle is armed with a McPherson strut along with a coil spring. For the rear axle, there is a torsion beam, also present with a coil spring for better handling quality. Beside all of this, this variant has been gifted with the anti lock braking system, which enables a safer braking performance. A highlight of the cabin's comfort arrangements is the TFT information display, that comes with a trip meter and a fuel consumption reading as well. For the entertainment needs of the passengers, there is a Smartplay infotainment system, which comes along with four speakers in the doors and two tweeters for satisfactory sound quality. The controls to the audio system are present on the steering wheel, giving ease of functioning. Bluetooth connectivity is also present, allowing audio streaming and for in-cabin call hosting as well. A USB port, along with Aux-In connectivity offer the ability to host external devices. A navigation system is another highlight of the cabin, allowing for well directed, hassle free driving. There is a feature that offers a remote control facility through a smartphone application, improving passenger convenience. There are several features incorporated inside the cabin like a central locking system with a keyless entry, power windows with driver's side window auto up/down feature and electrically adjustable including foldable outside mirrors. The front row passenger get the benefit of a sliding center armrest that comes along with a storage compartment for maximum utility. There are other features like rear center armrest with cup holders front map lamp, luggage compartment lamp, driver's side footrest, vanity mirrors and a glovebox with illumination. There is a back pocket on the front seat, and 1000ml bottle holders by the door trims. The dashboard houses a push start/stop function for added convenience. Airbags are present for the front row passengers, reducing critical damage in case of a mishap. The front seatbelts come with pre-tensioners and force limiters for added security measures. There is a seatbelt reminder for the driver's side. An auto dimming internal rear view mirror reduces hazardous situations. Beside all of this, the car has been provided with a reverse parking sensor along with a display, enabling good safety and convenience when parking. Fog lamps at the front improve visibility and safety when driving. A dual horn is present to alert surrounding vehicles when driving. Beside all of this, an engine immobilizer provides safety for the vehicle, along with an anti theft security system. 1. Attractive design and body build. 2. Spacious and comfortable interior arrangement. 1. Its performance has room for improvement. 2. The safety facilities need to be enhanced.